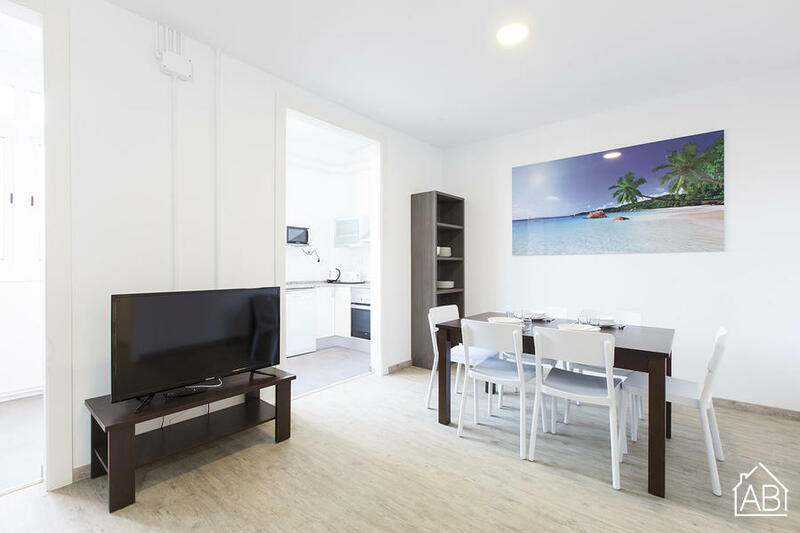 This superb apartment is a fantastic choice for those looking to explore all that Barcelona has to offer. It is situated in the neighbourhood of Poble Sec, close to the beautiful Montjuïc. The neighbourhood also has many great restaurants that serve authentic Spanish cuisine and tapas. You can easily reach other parts of the city and the suburbs via public transport from the apartment, with two metro stops and several bus stops nearby. This fabulous, air-conditioned apartment has 5 bedrooms and 2 bathrooms, allowing up to 7 guests in total to stay here.